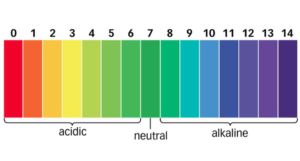 As we’ve covered in our post on what elements of your pool chemistry you should be monitoring, balancing the pH level of your pool water is one of the most crucial elements when it comes to maintaining the sanitising effects of chlorine in your pool. A pH level of between 7.2 and 7.8 is the ideal target (or 7.0 to 7.2 for a fibreglass pool). But what can you do if these levels start to drift and you notice that the pH level is to high? How do you lower pH in a pool? The quickest and easiest method to correct this is to add muriatic acid, otherwise known as hydrochloric acid. Why is a high pH level an issue? When your pool water is out of balance and your pH levels are too high, the water is not being effectively sanitised. Not only that but you might notice that your water becomes cloudy, there is an increase in scaling on pool lining and tiling and and your skin and eyes are irritated when swimming. Using hydrochloric acid at the right dose can correct this issue, lower pH in pools and has the added benefit of increasing the free chlorine concentration in the water. So how to lower pH in a pool? Well that very much depends on the size and volume of the water in your pool and how much you need to adjust the alkalinity. 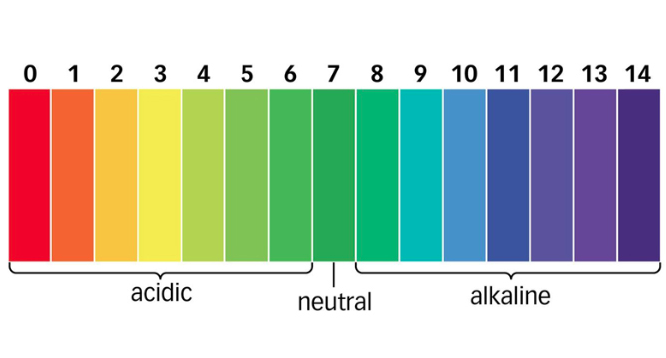 Remember that the ideal alkalinity level in your pool is between 80 and 120 parts per million so you will need to calculate the amount of acid required to balance your water based on the current level. It’s always best to be conservative and add a little at a time as you don’t want to overcorrect and end up with a low pH as this can be equally damaging to your pool and pool equipment. And remember not to just add the hydrochloric acid in just one spot of the pool. Spread it around the pool and have your pool filter running as you add it. The effects should be fairly quick to be realised. Check your pH levels again after 4 hours and if it’s still too high, add a little more until your pH level falls into the recommended range. As always, if you need any help or advice why not call in and see us at our store in Rocklea or give us a call on 07 3277 2554. ← What Are The Key Indicators To Monitor in Pool Chemistry?